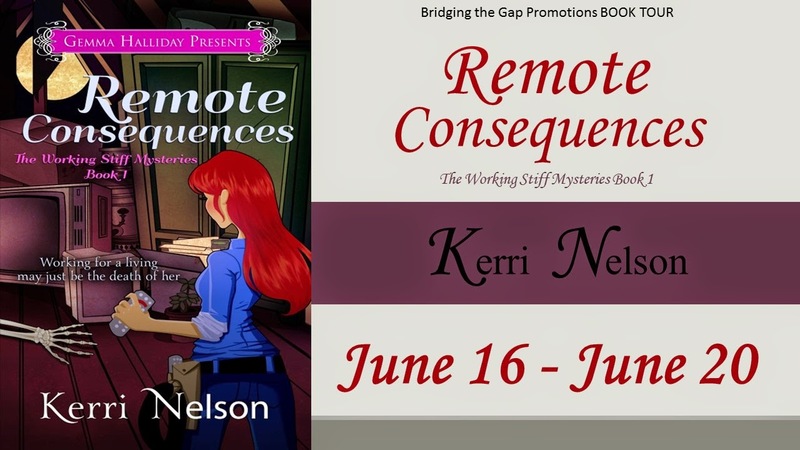 Kerri Nelson is on blog tour this week to support her newly released cozy mystery novel, Remote Consequences. It's a celebration! 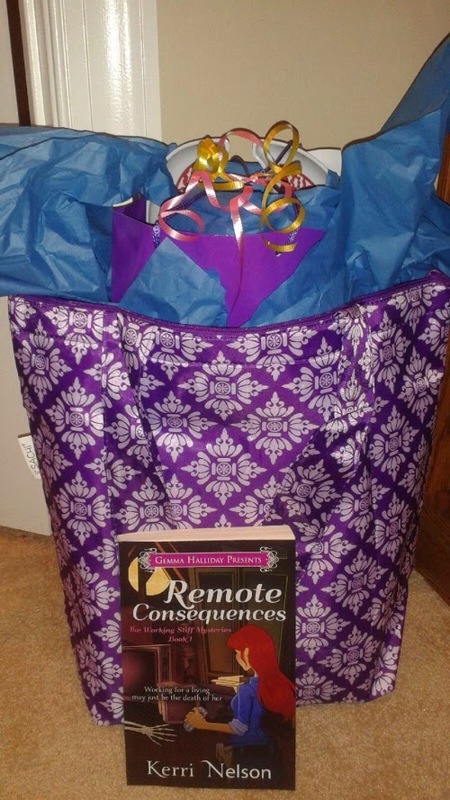 :) She's here today to share a guest post about being a working stiff. Let's check it out! In my new Working Stiff Mystery Series, main character Mandy Murrin starts out being a cable girl for Flicks Vision. But this won’t be her forever job. As the series progresses, she’ll find herself in a number of “blue collar” jobs (or as Mandy fears, blue cover-all jobs). When I was writing this book, it got me to thinking about some of my own multitude of jobs that I’ve had over the years. Back in high school, I was a grocery store cashier, a waitress, a journalist for my local paper (the high school correspondent, of course), and a babysitter. In college, I was a retail clerk for a music store, a secretary, an emergency room receptionist, and then a nanny and a personal chef for a family. Some of these jobs were fun, others frightening, and others still simply an opportunity to learn valuable lessons. Or, as my dad would call it, “life experience”. But mostly, they were all a way for me to earn much needed money while pursuing my education and my social life (gas money, anyone?). I guess, even after I entered my professional career in the legal field, I still felt like a working stiff at times—mostly because I’d always dreamed of being a writer. Now that the dream is becoming a reality, I feel like a very lucky working stiff. Maybe there will always be a bit of working stiff in us. Cause even when we retire, we are still working. But, hopefully then we are working at living instead of working for a living. And that’s something to strive for anyway. What are some of the “working stiff” jobs you’ve had? What is your “dream job” and what have you done to pursue it? Med school drop-out Mandy Murrin has returned home to care for her mentally handicapped, teenage sister. But despite having multiple college degrees under her belt, Mandy finds jobs aren't easy to come by in small town Alabama. Now instead of a stethoscope, she's forced to sport a tool belt as a technician for the local cable company, Flicks Vision. But things go from bad to worse when, while on assignment at the Mayor's house, Mandy finds herself in the attic amongst cobwebs, Christmas decorations, and...a corpse? Suddenly Mandy's life is turned upside down with one missing body, a high school nemesis turned police detective, a mysterious stranger, and a town full of long buried secrets. 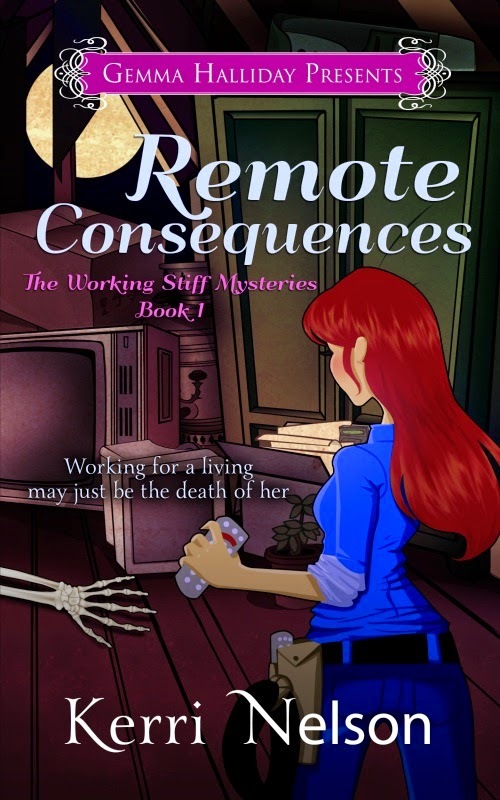 If Mandy's not careful, this could be one dead end job where she may not make it out alive! Kerri Nelson survived a fifteen year career in the legal field and then took her passion for crime solving to the page. But her journey to become a mystery author took a decade long detour into the world of romance where she penned twenty two novels and novellas in various sub-genres. Born and raised a true southern belle, Kerri holds many useful secrets: how to bake a killer peach cobbler; how to charm suspects with proper batting of the eyelashes; and how to turn your parasol into a handy weapon. 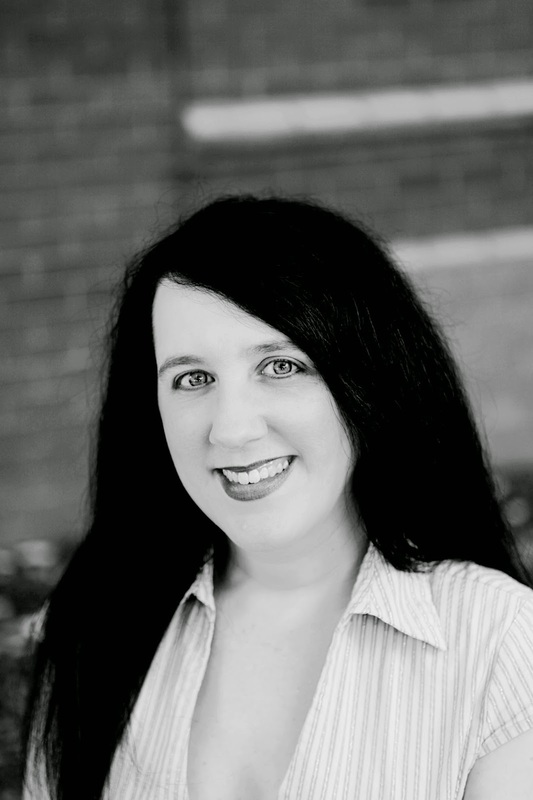 Kerri is an active member of Sisters in Crime and Romance Writers of America which includes various volunteer positions such as Board Member at Large and Daphne Published Contest Category Coordinator of Kiss of Death RWA (Chapter for Romantic Suspense Authors). Hmm. That made me think. When I was young, I had a lot of "dream jobs". One was to be a singer, but that's because my mom, grandpa and other relatives are all singers. And they are very good at that. Singing family. But I never had the chance to develop my singing voice. I can sing well but not the same level as them. Second was to be an accountant - but that's because I've heard that their salary is really high. Practicality wise, this should be my dream job. When I was in college, I took accountancy as my major but I realized that it wasn't for me. It was a hard one and I can do it but I realized that it wasn't the 'dream' so I changed it. Sorry for the long response. To sum it up, the singing - it's still a dream of mine. The dream is to sing live in front of people (which I did when I was in high school but it's different now). The accountant part - I chose to forget about it. :P The writing part - that I have to pursue more. I've read somewhere that in order for you to become a good author, you have to read and read. And that's what I'm doing now so I'm pursuing this dream in a sense. So glad the cover makes you happy and I adore your blog! Thanks so much for hosting me today. I think your response makes perfect sense and is probably something that happens to a lot of us. We all make our life choices based on what we think we should do at certain point in our lives. In college, I changed my major three times before settling on Criminal Justice. I did love working in the field, but still had that feeling like something was missing. You can still pursue your dream. It is never too late. Wishing you the best in all you do, my friend.